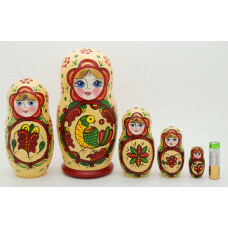 5 piece matryoshka doll set is made in the Mezenskii style. This set is made by hand in Russia. 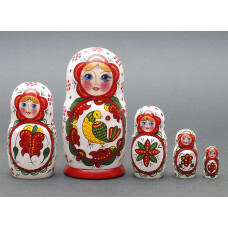 It i..
Matryoshka nesting doll Mezenskaya1. Free worldwide shipping. Matryoshka nesting doll Mezenskaya2. Free worldwide shipping. 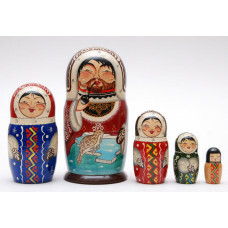 5 piece Sergiev-Posad matryoshka doll set, featuring Eskimos. 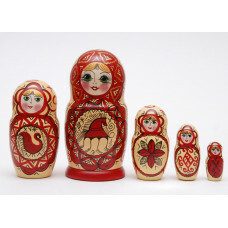 The set contains stackable figurines (..
5 piece matryoshka doll set is made in the Severodvinsky style. 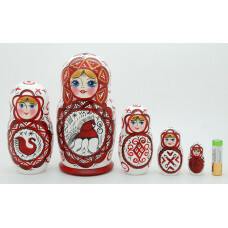 This set is made by hand in Rus..
Matryoshka nesting doll Severodvinskaya2. Free worldwide shipping.